You guys sure will wonder what is the title that I am writing!? It Is actually 2012 science fiction action film directed by Pete Travis and written by Alex Garland. 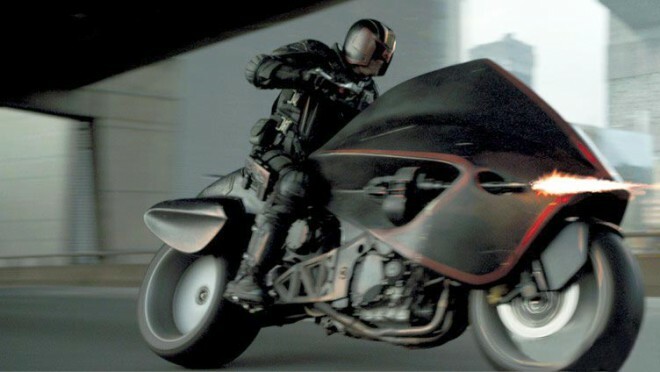 Judge Dredd is amongst the UK's best known home-grown comic characters. Then I also steady WHy Not~? The future United States is an irradiated waste land known as the Cursed Earth. On the east coast of North America lies Mega-City One, a vast, violent metropolis containing 800 million residents where 17,000 crimes are reported daily and "Slo-Mo", an addictive new drug that slows the user's perception of time to 1% of normal, has been introduced. The only force of order is the Judges, who act as judge, jury, and executioner. 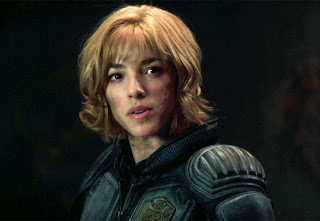 Judge Dredd is tasked by the Chief Judge with evaluating rookie Judge Anderson, a psychic who has failed the tests to become a full Judge. 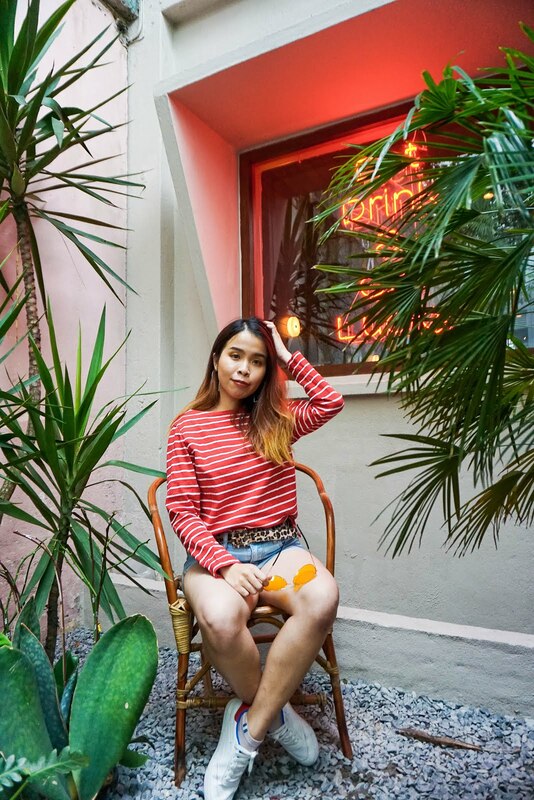 Elsewhere, in the 200-story slum tower block Peach Trees, drug lord Madeline Madrigal, known as Ma-Ma, infuses three men with Slo-Mo and throws their skinned bodies from the top of the tower. Dredd and Anderson respond and learn of a drug den, which they assault. 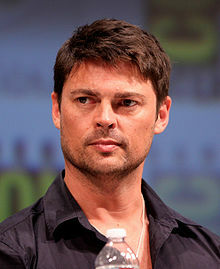 They arrest Kay, one of Ma-Ma's henchmen, after Anderson psychically detects his involvement in the murders. To prevent Kay being removed from the building and interrogated about her operation, Ma-Ma's forces seize the tower's security control room and seal the building using its blast shields under the pretense of a security test, preventing the Judges from leaving or summoning help. 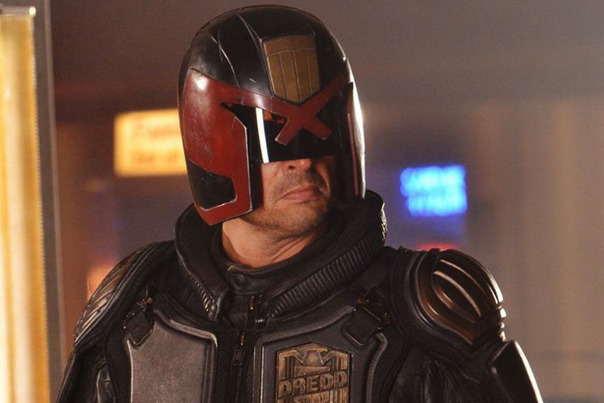 Ma-Ma orders Dredd's and Anderson's deaths. Several groups of armed men unsuccessfully try to kill the pair as the Judges proceed through the building with Kay to find safety. After arriving at one floor, the Judges are assaulted by Ma-Ma and her men using gatling guns that cut through the building's concrete walls and residents. The gunfire damages one of the tower's outer walls, allowing the Judges onto a balcony that enables them to call for backup. Ma-Ma sends her right-hand man Caleb to confirm the Judges' deaths. 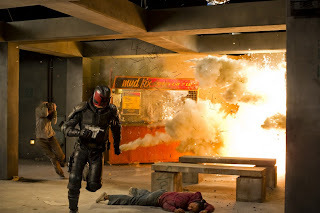 Dredd and Anderson, with no other avenue of escape, reenter the building. Dredd overcomes Caleb and throws him from the tower in view of Ma-Ma. Enraged at Ma-Ma's massacre of the tower's innocent residents, Dredd beats Kay for information. Anderson intervenes and uses her abilities to read Kay's mind. She learns Peach Trees is the center of Slo-Mo production and distribution. Anderson suggests they hide while awaiting assistance but Dredd insists on moving up the tower in pursuit of Ma-Ma. Judges Volt and Guthrie respond to Dredd's call, but are unable to access the tower when Ma-Ma's computer expert persuades the pair that call is part of the security drill. While Dredd and Anderson are confronted by armed children, Kay escapes his bonds and takes Anderson hostage. He escapes with her in an elevator to Ma-Ma's base on the 200th floor. While Dredd works his way toward Ma-Ma, she calls on the aid of corrupt Judges Lex, Kaplan, Chan, and Alvarez to kill Dredd. After meeting Chan, Dredd notices that he does not ask about Anderson's status, instigating a fight in which Chan is killed. Kay is killed when he attempts to execute Anderson with her own weapon, triggering an explosive failsafe when it does not recognize its wielder. Anderson escapes and meets Kaplan, whom she kills after reading her mind. Elsewhere, Dredd kills Alvarez but runs out of ammunition and is shot by Lex. 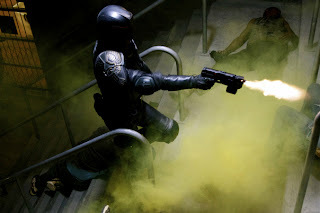 Anderson arrives and kills Lex as he prepares to finish Dredd. The pair obtain the code to Ma-Ma's apartment and confront the drug lord. Anderson is wounded by one of Ma-Ma's men. Ma-Ma informs Dredd a device on her wrist will detonate explosives on the top floors upon her death and destroy the building. 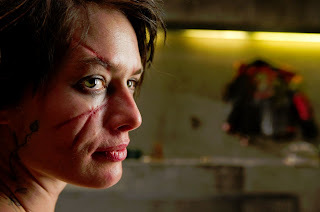 Dredd, believing the signal will not reach the top floor's explosives through the tower's concrete floors and walls from below, infuses Ma-Ma with Slo-Mo and throws her from the building to her death. In the aftermath. Anderson accepts she has failed her evaluation by being disarmed, and leaves. The Chief Judge asks Dredd about Anderson's performance. He responds that she has passed. 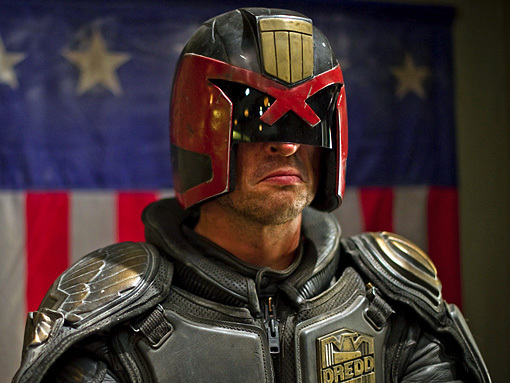 The real look of the actor who acts in Judge Dredd. Judge Dredd So Shuai and Geng~!! Most important the story line also quite not bad! this movie is a 18++ people watch de oh! !